Lock in a great price for Pousada Simpatia da Ilha – rated 8 by recent guests! The owner was very attentive to our needs at all times. Comfortable friendly accommodation quiet, yet in the heart of the old town so handy for everything. This place is well maintain. The staff was very nice. Had breakfast with lots of food, also in the afternoon they had an afternoon coffee/tea with coffee, tea and cakes. Very nice thing to offer to the guests. Superou e muito minhas expectativas. Super bem localizado e o quarto excelente. Não vejo a hora de voltar e ficar de novo! Lage im Dorf ok. Frühstücksangebot übersichtlich aber gut. Limpeza impecável e funcionários extremamente simpáticos e atenciosos. A Gleice é um amor de pessoa. Fez tudo que pedíamos para atender ao nosso filho. Localização, limpeza, café da manhã e apresentação. Nota 9. Eu indicaria para outras pessoas. Surrounded by beautiful gardens, this cozy guest house is in Vila dos Remédios area, near beaches, bars and shops. It provides buffet breakfast and air-conditioned rooms with free Wi-Fi. Pousada Simpatia da Ilha is within a 5-minute drive from popular beaches, such as Cachorro, Meio and Conceição. 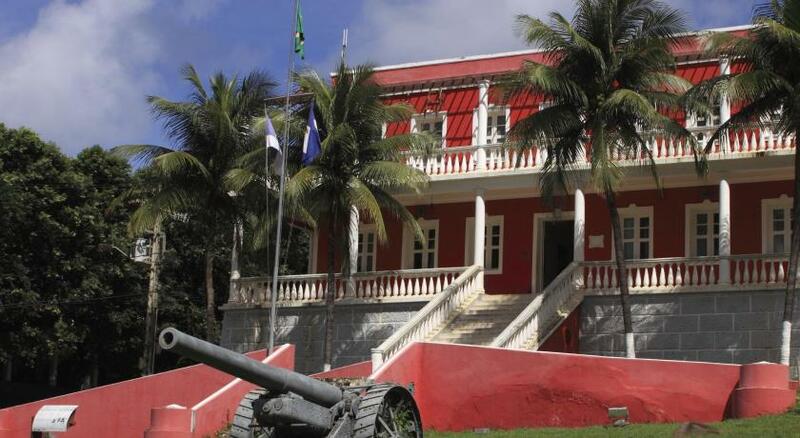 The island´s historical center is only 150 feet away, and Fernando de Noronha Airport is 3.1 mi from this property. Featuring garden views, the bright rooms include box-spring beds and a private bathroom with a hot shower. Mini-bar, an LCD TV and telephone are also provided. Buffet breakfast offers tropical fruits, cheese, cold meats and fruit salad. After eating, guests can relax in the hammock area with garden views. Dining options are within walking distance. 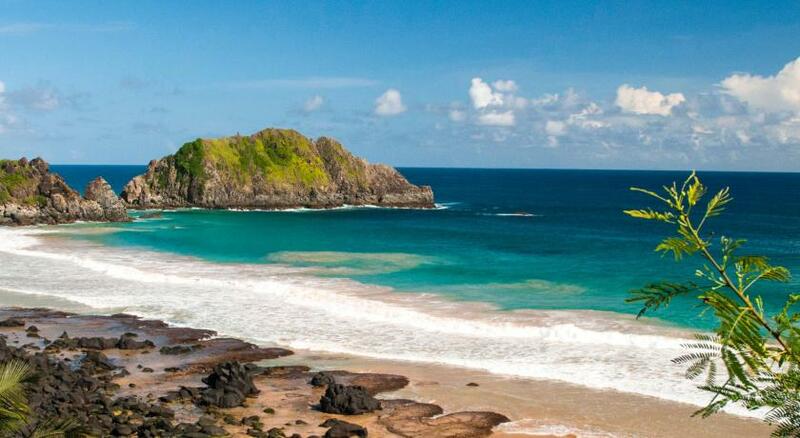 This is our guests' favorite part of Fernando de Noronha, according to independent reviews. 뀐 Located in the top-rated area in Fernando de Noronha, this property has an excellent location score of 9.1! When would you like to stay at Pousada Simpatia da Ilha? This suite has a mini-bar, air conditioning and flat-screen TV. House Rules Pousada Simpatia da Ilha takes special requests – add in the next step! Pousada Simpatia da Ilha accepts these cards and reserves the right to temporarily hold an amount prior to arrival. The Brazilian government requires that guests pay an environmental fee based on their length of stay.